Former Hawaii Gov. 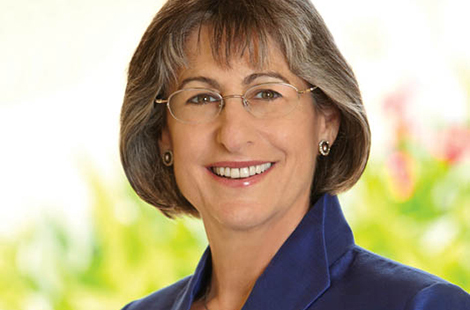 Linda Lingle is returning to her alma mater this spring to teach an upper-division course on public policy in CSUN’s Department of Political Science. Read more about Lingle’s return. Determined to improve juvenile health, CSUN professor Terri Lisagor led a team of students to rural Guatemala to teach families about oral hygiene. Read more about the program. Anna Joaquin’s research and dedication to the growing field of linguistics has earned her a spot in Diverse Issues in Higher Education’s annual list of the top scholars in the country under the age of 40. Read more about her honor. Fri., Jan 24, 7 p.m. Sat., Jan. 25, 8 p.m.
Fri., Jan. 31, 4 p.m. Please join CSUN at the induction of four new members into the Athletic Hall of Fame. Join the La Raza Alumni Association at alumna Eva Longoria’s restaurant Beso to support the Chicana and Chicano Studies Scholarship Fund. The Valley Performing Arts Center at CSUN will present an eclectic mix of classical, legendary Broadway and emerging talent as it starts its spring 2014 season.